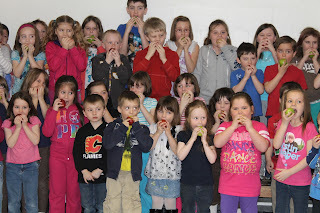 Students and staff at Blackville School participated in "The Great Big Crunch" on Tuesday, March 20. The activity takes place across Canada to promote awareness of healthy eating habits and local and global food systems. 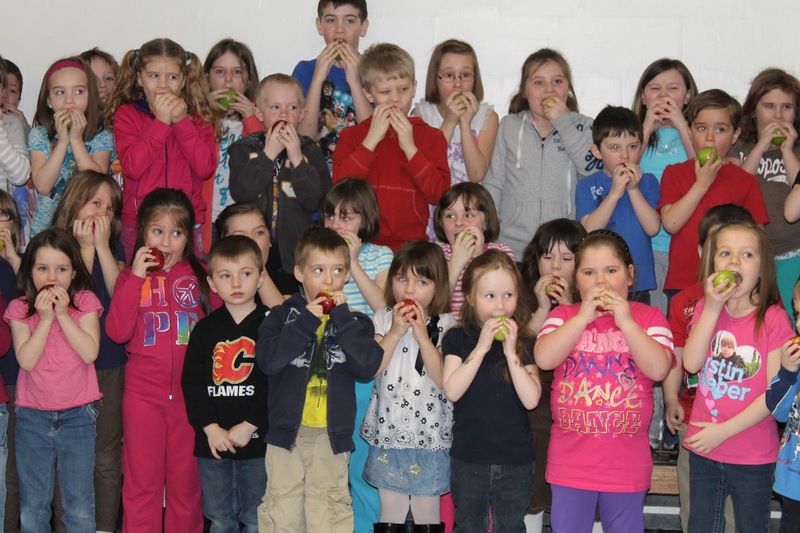 Every student and staff took a healthy bite from their apple at the same time. To view more photos, click here. For more information about the campaign, click here. Middle School students at Blackville School held their Winter Carnival last week (March 12-16). 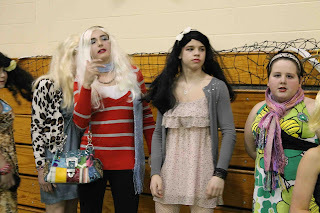 On Friday, many of the boys participated in the Boys as Girls Beauty Pageant. Links to more photos from the event and other activities, can be viewed here.